If you are among the third of Americans who have varicose veins, you know it’s not just about their unsightly appearance. You’ve dealt with the aching legs; the swollen ankles, the fatigue, and the heavy, throbbing feeling that just makes you want to put your feet up. Only resting your legs, however, may not be enough. Varicose veins (and spider veins) don’t just look bad and cause discomfort – they might be a sign of an underlying, more complex condition called chronic venous insufficiency. Venous insufficiency can have serious consequences if not treated the right way, with the right vein doctor. Vein treatment on Long Island may be available, but choosing the right form of treatment depends on several factors – including your vein doctor. So how do you choose the right vein doctor? Several specialist doctors and clinics may provide vein treatment on Long Island. The following list of facts will help you decide on which one to choose. Focus on vein treatment: Obviously, a clinic that spends most of its time doing vein treatments is likely to be one of the best at them. If a clinic performing vein treatment in Long Island doesn’t appear to focus exclusively on this, it’s worth driving out a couple of hours to find a clinic that does focus only on vein diseases and their treatment. Similarly, you would want to choose a doctor who has years of experience in dealing with vein diseases, as they would be more likely to diagnose the root cause of your vein problem. The right diagnosis is the first step to getting the right kind of treatment for your vein condition. Credentials: Not all doctors who treat vein diseases are specially qualified to do so. With a board certified specialist, you can be confident of a more accurate diagnosis, and more effective treatment, simply because they have the skills and training for this particular niche! You would need to look for a specialist who has board certification in Internal medicine, Vascular medicine or Vascular surgery. Technology: The benefit of cutting edge technology is that can offer you both comfort and convenience. Modern ultrasound equipment allows vein doctors to ‘look and listen’ to your veins, so that they can see if your veins are ‘leaky’. Technology also allows vein doctors to perform best vein treatment that require very little downtime. These may not be available at all vein treatment centers in Long Island, and this is something you should check out before choosing a center and going ahead with treatment. Insurance: Unless you want to pay from your pocket (which can be expensive!) you would want your vein treatment clinic to accept and work with your current insurance plan. Most major treatments for varicose veins should be covered by insurance. Minor, cosmetic procedures may not be covered. Help and comfort: Above all, you’ll want to feel reassured throughout the process. The right vein clinic will be warm and comforting, and should have adequate trained staff on hand to deal with your queries and assist you. Vein Treatment Clinic – Your answer to vein treatment in Long Island! Fortunately, a state of the art clinic that has all these attributes is available just a couple of hours away from Long Island. 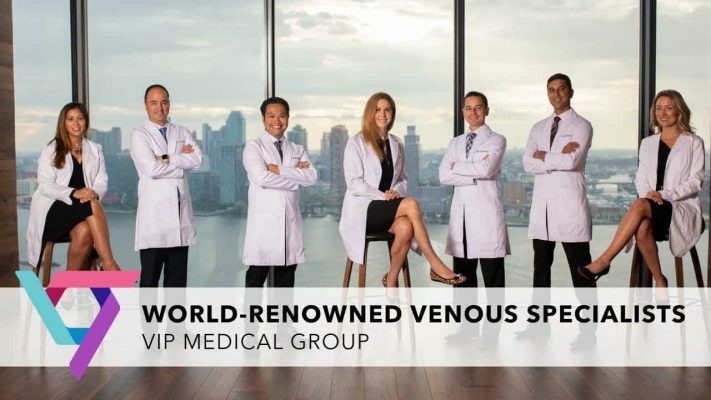 The New York Vein Treatment Clinic offers top-quality vein treatment to Long Island patients through our three Ivy league trained, board certified vein specialists. Our doctors are experts in cutting edge vein treatment, and they train doctors from around the world in the same skills. Namrata Khimani has nationwide acclaim as a vein expert. She is warm, compassionate and especially good with women, and specializes in treating vein diseases during and after pregnancy. Michael Nguyen is known for the meticulous care that he gives his patients. He has pioneered several advanced vein treatments that are minimally invasive and comfortable. Juan Montoya is a skilled vascular surgeon with several years of experience in treating complex diseases of the blood vessels and veins. He specializes in minimally invasive surgery for chronic venous insufficiency. What to expect at the Vein Treatment Clinic? Sclerotherapy: A medicated solution is injected into your veins – this causes the vein walls to stick together, and seal itself off from the body. Radiofrequency Ablation: The skin over the vein is numbed, and a tiny catheter is inserted into the vein. Radiofrequency heat delivered through the catheter destroys the vein. Endovenous Laser Ablation: This is similar to RFA, but uses a laser fibre to destroy the vein instead, and is equally effective. Venaseal: As the name suggests, the vein is sealed off using medical glue. Clarivein: A miniscule device is implanted into your vein, which causes the vein to seal off. Varithena: Just like sclerotherapy, except that foam is injected into your veins. After all the above procedures, blood re-routes to healthier veins, and the vein that is sealed off just gets absorbed by the body and disappears, resulting in varicose or spider vein removal. All the procedures done at VTC are minimally invasive and therefore almost painless. They require very little time – you can practically get it done during your lunch hour! To know more about the procedures done at all our centres, click here. All our vein doctors in NJ and NY have one common goal – to help you lead a better and more comfortable life. If you’d like them to help you achieve this, schedule a consultation at your nearest clinic today!